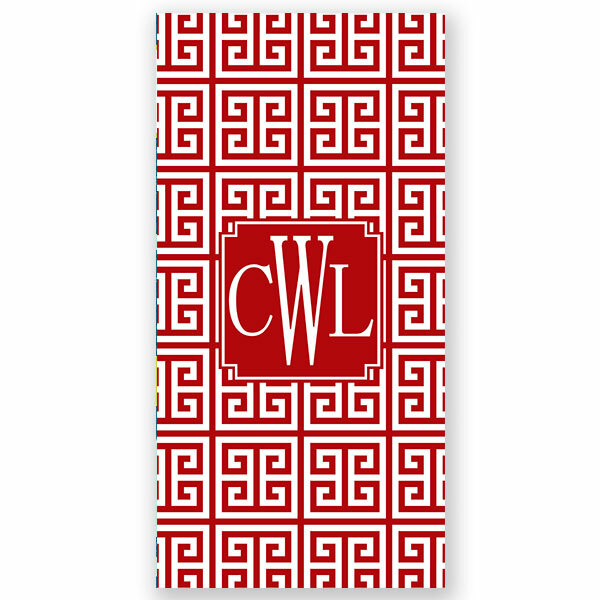 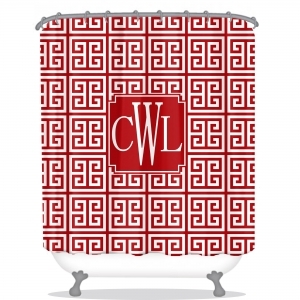 This gorgeous shower curtain features a stylish greek key pattern in red with a notched square frame. 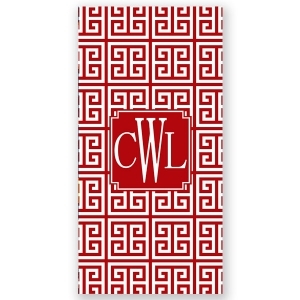 This shower curtain looks fantastic with or without your monogram. 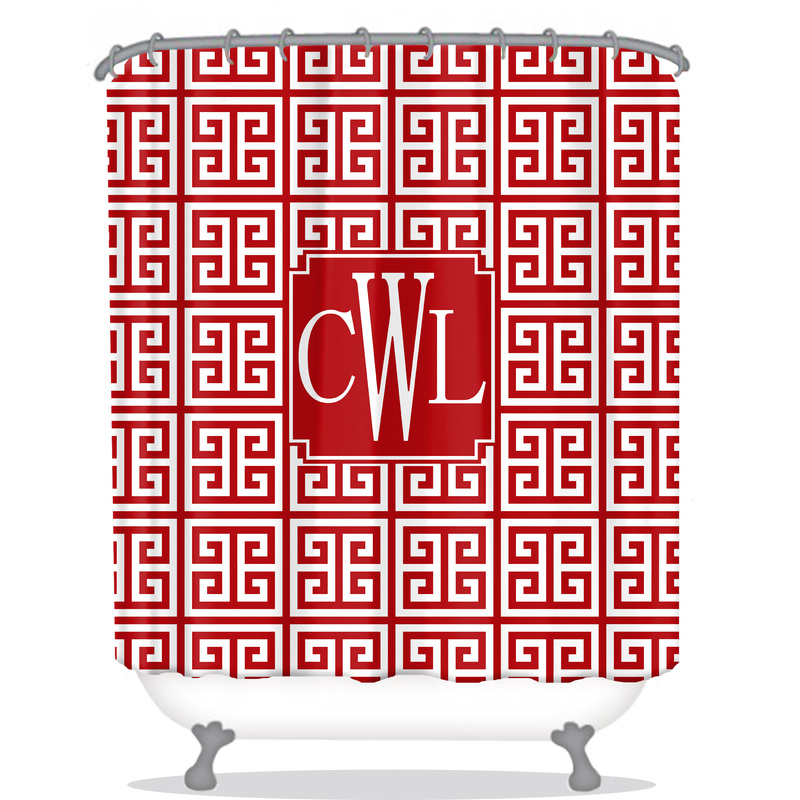 Available in 17 different colors, our vibrant decorative shower curtains transform your everyday bathroom to an elegant personalized setting.